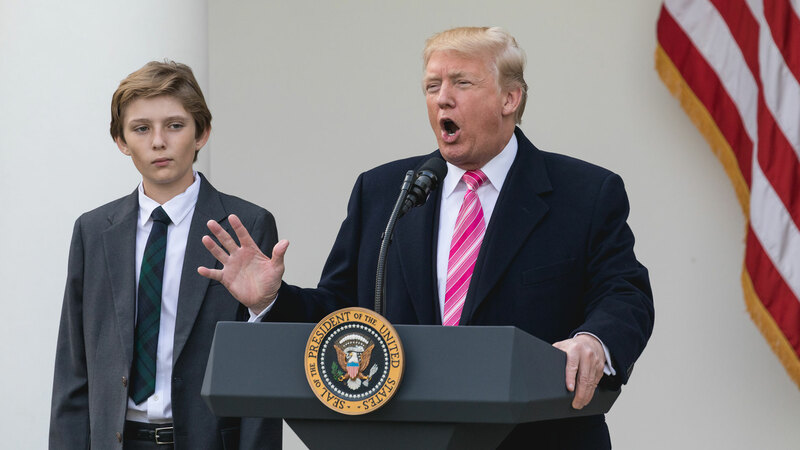 On the day much of the country gears up to watch the Super Bowl, President Donald Trump weighed in on whether he’d let his son Barron play football. In short, he would prefer the 12-year-old stick to soccer. In this case, Trump isn’t wrong. Plenty of research, including a February 2018 study published in the journal Brain, suggests that long-term brain damage is associated with playing tackle football as a child. The president noted that he didn’t expect soccer to rise in popularity in the United States, but said it was “moving forward rapidly.” It is also popular in Slovenia — where Barron’s mother, Melania, was born. The country of 2 million people has a relatively successful soccer team, even making it to the 2010 World Cup. And while he was on the subject of football, the president yet again called for NFL players who kneel during the national anthem to be fired.